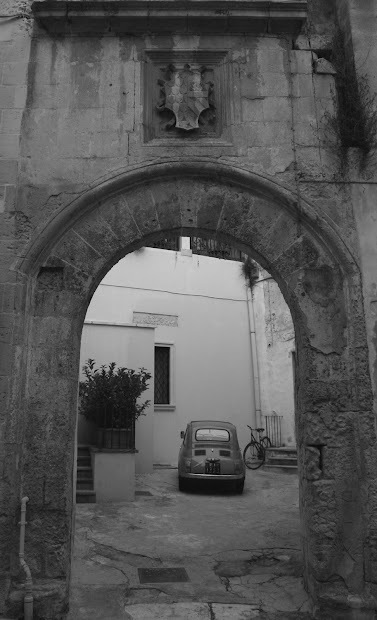 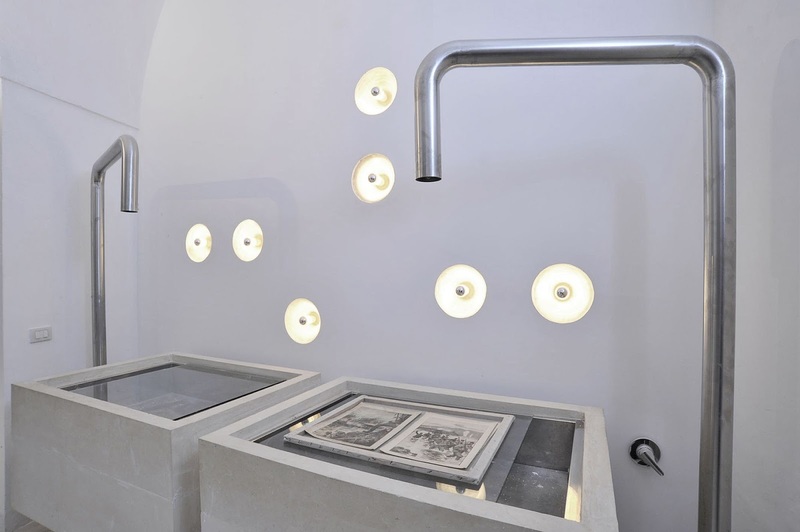 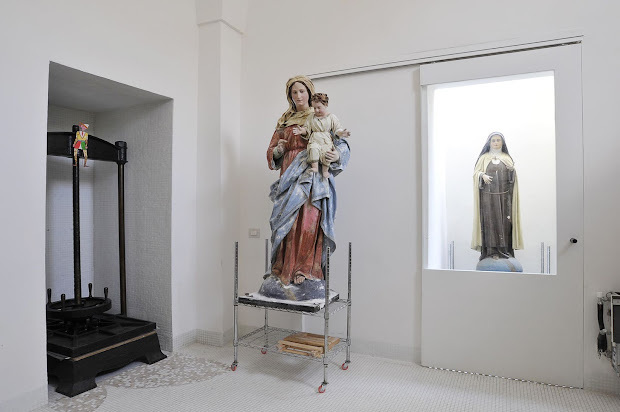 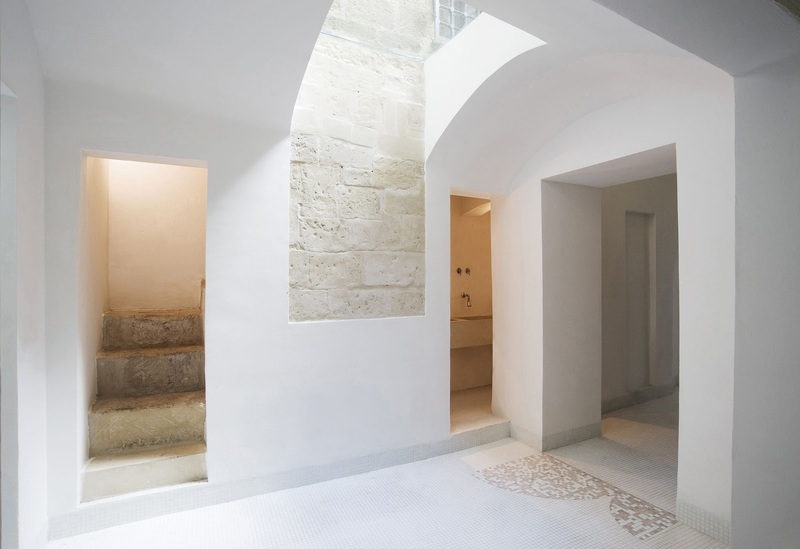 The Restoration Center is located in the historical center of Lecce, in the midst of ancient and irregular streets, flanked by buildings of small and medium size which are all built in the traditional local stone “pietra leccese”. 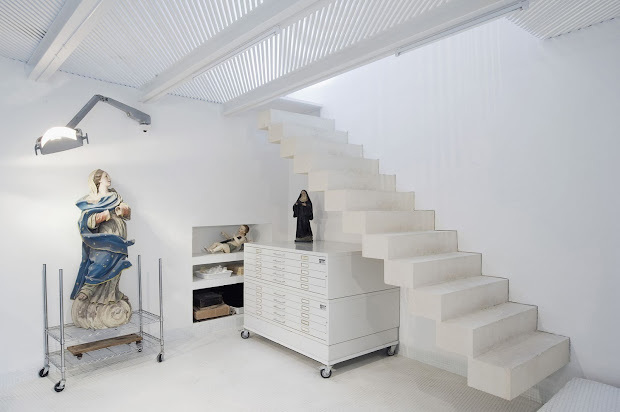 The project area was previously divided into small, poorly connected spaces, which were the result of multiple renovations that had completely altered the original structure. 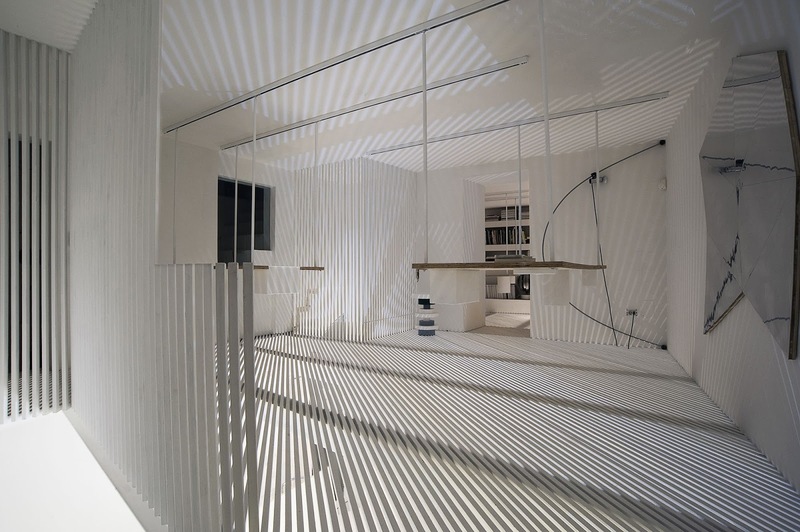 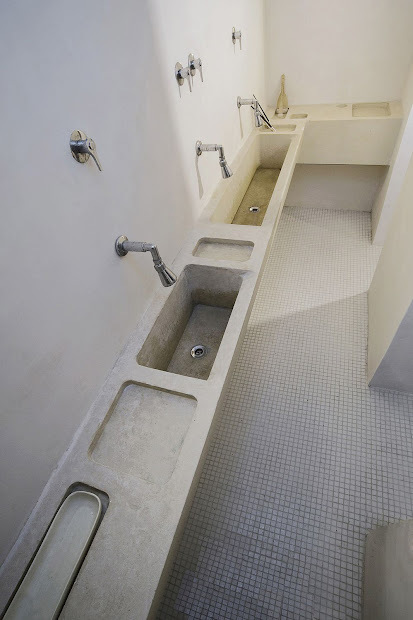 The brief was to create a room for the treatment of papers (washing and drying), an area for scientific research, an archive, a library, a space to wash tools and a changing room for the staff. The first step was to recover the original structure, tearing down all parts of the structure that did not have a historical or structural connection and to maximize the reflections of light and the space with using existing openings. 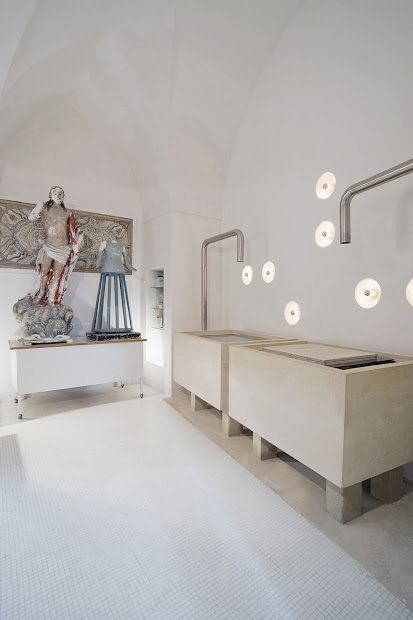 Functional elements were added which seem to rise and come to life by integrating with the supporting structure such as the ‘floating’ staircases and the paper treatment tanks, all made of the local “pietra leccese” stone. 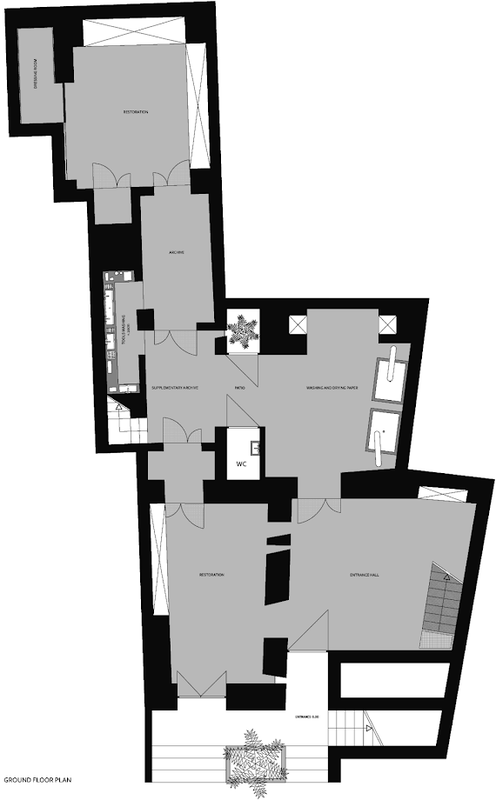 The height allowed us to design a mezzanine floor that has the characteristics of an almost abstract environment so it wouldn’t oppress the spaces below. The metal grates create a filter of light between the two environments that alternates the source of light from day into night. 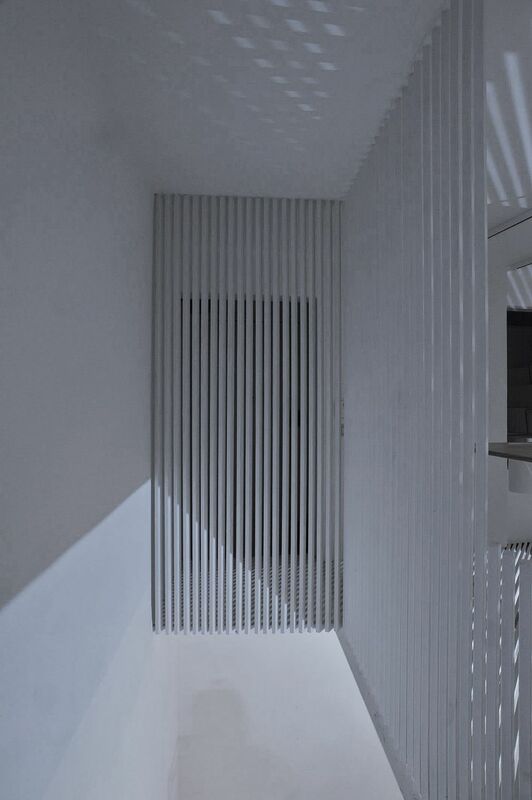 Natural light is pro- vided to the ground floor office during the day from the mezzanine and in the evening the electric lighting from the ground floor illuminates through the metal grates of the mezzanine, providing additional sources of light for the mezzanine, mimicking the change of day into night.